This study tour sought to expand our understanding of the New Zealand shellfish industry with particular focus upon the oyster industry and why/how they are able to effectively export NZ$16.9 million worth of oysters overseas, much of it value added. The Australia market receives 75.1% of this production, mostly as frozen half shell. 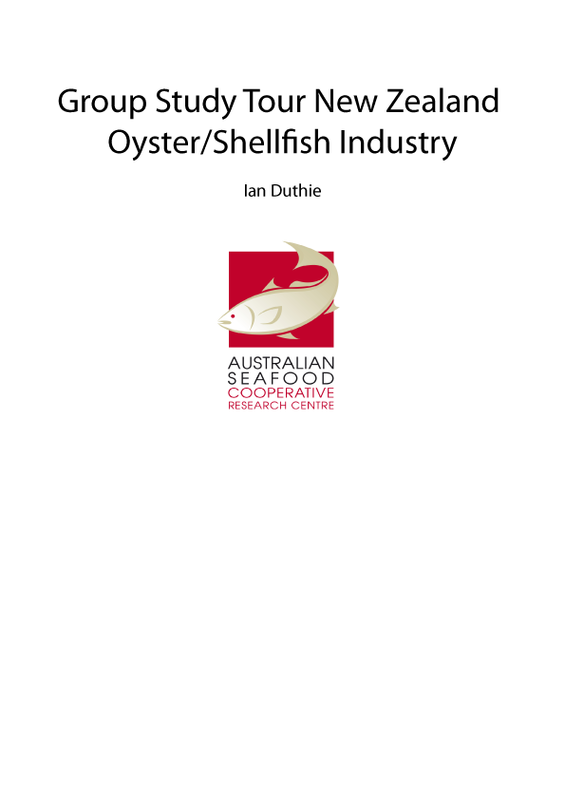 Participants involved in the study group possessed experience across a broad section of the Australian oyster industry from hatchery/nursery/grow--‐out, marketing, research and development. This enabled them to evaluate the growing methodology, environment, and structure of the New Zealand oyster industry. The tour group comprised of a good mix of grassroots producers, new industry entrants, second generation, oyster researcher and hatchery operators. This enabled a full dissection of the structure of the NZ industry, and identification of advantages and disadvantages they possess. The opportunity to view the way the mussel industry is structured and operates also proved to be insightful, with possible linkages to the future development of the Australian oyster industry. This study tour provided the opportunity for the group to “look outside of the box”, to a country with a very similar demographic and political structure, but which is able to deliver with value adding and a strong export focus; to develop an understanding of why and how the NZ industry has been able to achieve this will provide for great opportunities for the Australian oyster industry, and the individual members of the group.